Working Wednesdays: the 5 Easiest Jobs to travel the world with! Through my years of working and backpacking around the globe I’ve built up a wide and varied range of work experience. I’ve managed to find a job everywhere I’ve wanted one and this is mainly through hard work, a bit of charm and experience in the types of job that are easy to find as a traveller. So today’s Working Wednesdays I’m hoping to get you inspired. I bring you (in my opinion) the easiest 5 jobs to travel the world with! These are easy jobs to get, easy jobs to do and you earn good money. Gotta be a winner! 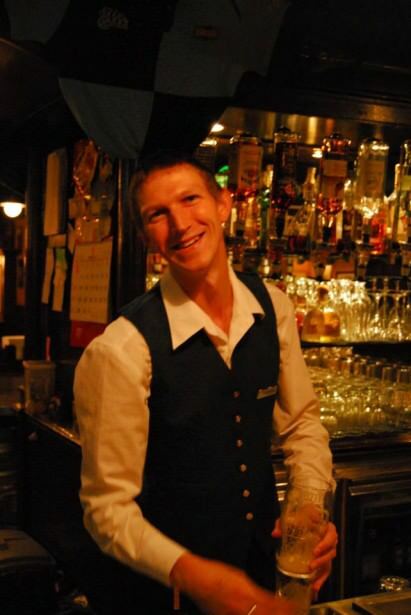 I’ve worked in bars in 5 different countries to date and I LOVE bar work. There are bars everywhere and as far as I can tell all you need to work in a bar is to have enthusiasm, to be sociable and outgoing and to be hard working. 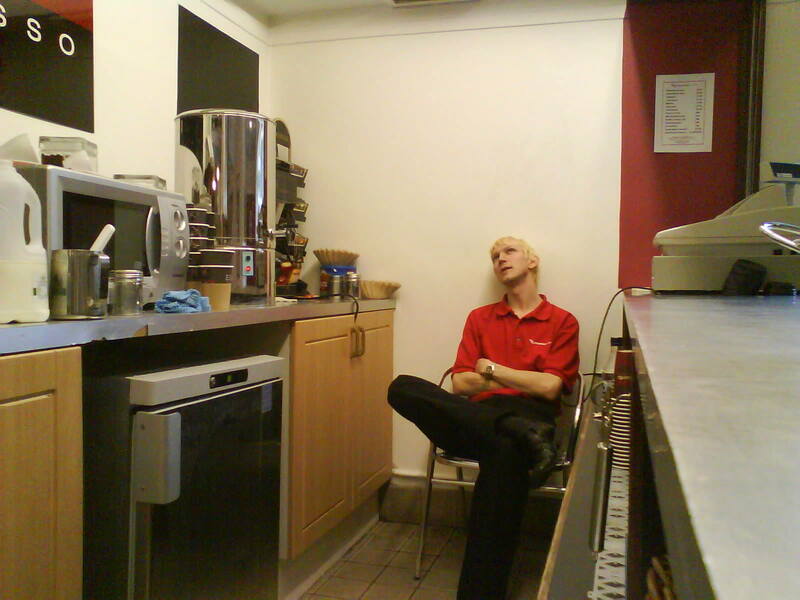 It’s an easy type of job to get into, and it offers you lots of interacting with staff and customers, good steady money in a job which means you don’t spend much and TIPS. Bar work is one of the best jobs you can have as a traveller. I could earn over $1,000 Australian Dollars a week when I worked in an Irish Pub in Parramatta, working about 6 or 7 shifts and milking the tips. The other huge advantage of working in bars is that you are working on Friday and Saturday nights, therefore you can’t be going out spending money! It’s an easy way to save money. How to get a bar job? I normally just call into the pub and ask the manager straight up for a job. Failing that, drop them an e-mail before you arrive in the country, expressing how keen you are to work there. Some countries require an alcohol licence and certificate before you can legally work there, so be sure to check that out. In Australia I got my RSA and RCG for example. In Europe, it’s a lot less strict and you can easily get bar work in places like England, Spain and Greece. Bar work gets busier in the summer months in those places. In places like Australia and New Zealand, farming work is ridiculously EASY to come by. Just get your working holiday visa sorted and head to the wilderness. 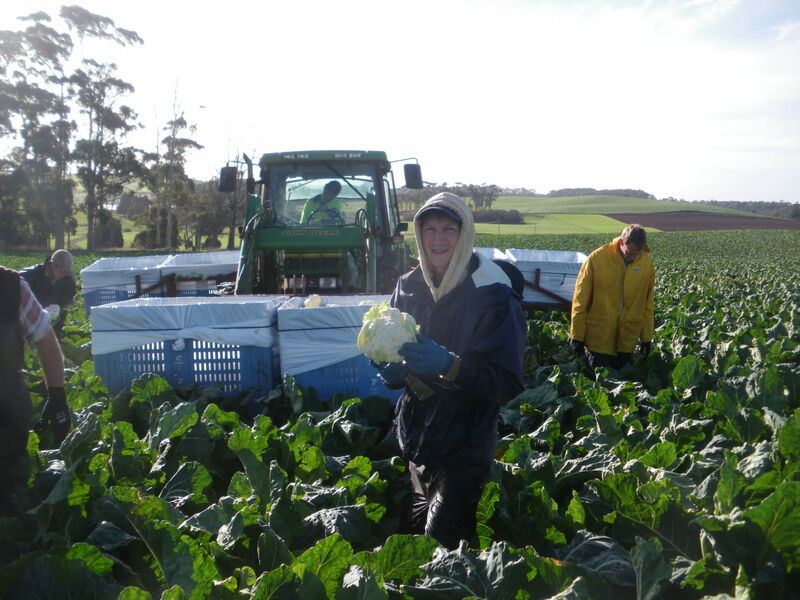 I did most of my farming work in Tasmania, working with vegetable harvest mainly. However I also milked cows in Colombia on my mate’s farm. How to get a farming job? Ask around and stay in the wilderness. You’ll find the job comes to you before you look for it. A good website to check out is Wwoofing – volunteer opportunities. In Tasmania I was employed by Work Direct. I’d recommend them of course! I worked for a couple of different ferry companies up until 2009 and I highly recommend it. 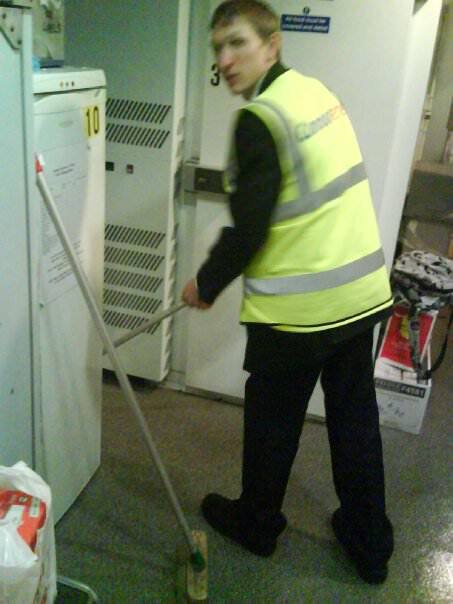 My job was fairly straight forward, working on the restaurant on the England to France ferries. Easy work, easy money, good social life and always at sea, travelling! I loved it and managed to save a lot of money. The perks also included free food and discount on hotels and cigarettes (which I used to buy and sell on 😉 ). I also worked on ferries sailing to the Isle of Wight, Guernsey and Jersey and loved my life at sea. But life took me elsewhere after that! Cruise Ships is a really good option for you – as high profile bloggers such as Wandering Earl saved a bucketload of money doing it this way. 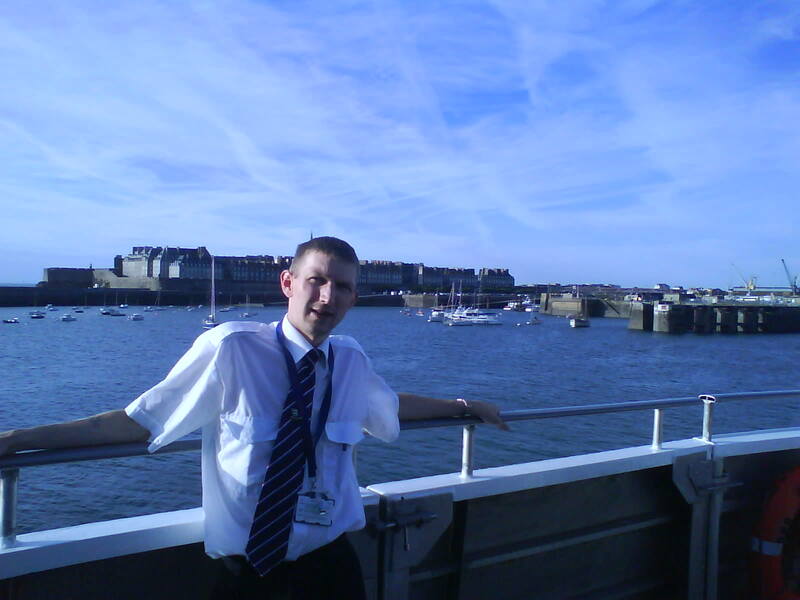 Working on the cross channel car ferries living the travel dream and getting paid for it. How to get a job on ferries or cruise ships? Look no further than Wandering Earl himself who has written a HIGHLY RECOMMENDED book on how to get a job on a cruise ship – buy it, read it and off you go!! Work on Cruise Ships. In places like New Zealand and England, summer time are the peak periods for working on car ferries as they get busy. Check out Condor Ferries and Interislander for job options. You’ll find that a lot of the high profile nomads and backpackers have done a stint teaching English. Nomadic Matt and Nomadic Samuel have all used teaching English to fund their travels over the years. Naturally I got into this too, teaching in Kindergartens , Primary Schools and Summer Schools in Hong Kong over the last few years. If English is your first language, then what are you waiting for? Get your online TEFL, TESOL or CELTA and get teaching. Read my guide to teaching English in Hong Kong. How to get a job teaching English? I won’t go into it as this has been covered thousands of times by myself and every blogger out there. 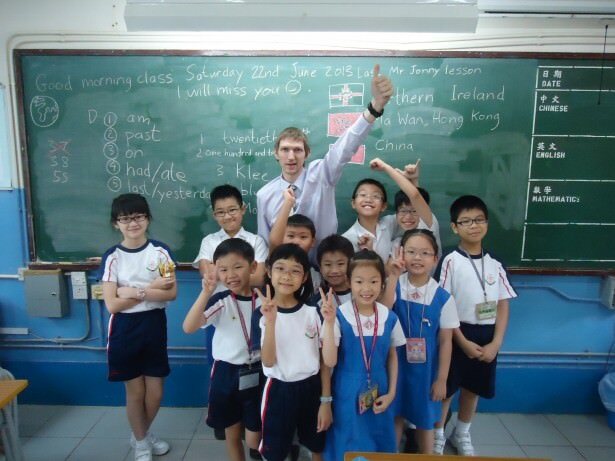 Nomadic Matt has a good starter guide on how to teach English overseas, which has tips and resources. Make sure you get some kind of TEFL as well (although I have to admit I started teaching without one, but have since got my certificate!). Believe it or not in 2001 I did a course to become a flight attendant. Then a banking job came up and I got pre-occupied with that instead. That’s the way my fate took me and I’m happy with that as I think deep down I didn’t really want to be living every day of my life up in the air, it’s a bit of a claustrophobic place to work. Having said all that – the perks are GREAT and I have some friends who have managed to travel the world just from working on aeroplanes. I hope these five tips help you along the way to get out there and live your travel dreams. If you have experiences in these five fields of work, you can literally work anywhere in the world as I have done for the last 10 years or so. You can check out my working career and my travel timeline for more specific information on my own work history, or simply just follow my Working Wednesdays stories every week on here! Safe travels and don’t work too hard!! This entry was posted in Bar Work, Bars, Daily Features, Destinations, Farming, Jobs, Teaching English, Working Holidays, Working Wednesdays. Bookmark the permalink. ← Tuesday’s Travel Essentials: Avoiding Insect Bites! Good list, Jonny! Got to agree with teaching English…seems like every blogger and their brother is doing that nowadays! You as a flight attendant would have been great for travelers everywhere. This is a great list Jonny! Thanks for mentioning me under the teaching English section. If I could go back in time, I think I would have tried my hand at number of different jobs while living overseas. You’ve really done it all! Thanks for the comment Sam – I’m starting to believe all those crazy jobs I had are paying off finally!! Safe travels. Jonny PS – Tanzania is awesome. You’ll love it! Hi there Johnny, i am in Colombia atm in Bogota, does your mate need help milking cows still? Pingback: 50 jobs on the road with Jonny Blair - A World to Travel. Love reading your blogs, really inspiring. 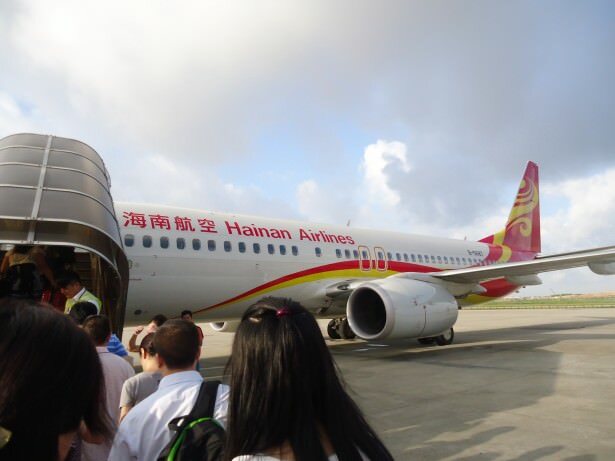 Heading to Hong Kong soon and am now even more excited at the prospect after hearing how much fun you had while there. Now I’m keen to know of a good, reputable agency that I can approach to get a foot on the ladder. Can you help with that? Should have been clearer my end… Looking at the teaching side, which is where i ultimately want to end up. Hey Johnny, love the site! These are great options for working abroad whilst traveling. We are just getting started in planning our escape from the US- straight to Thailand- and were wondering if you have any experience teaching near Chiang Mai? I hear a lot of travelers get jobs teaching there, but any other options for those who may not want to teach? i stumbled by accident over your awesome blog. I just got a quick question in regard to bartendering in Hong Kong. Do you need any license to work in a bar in Hong Kong such as RSA or RCG? Is it worth to do such a course if you plan on working in a bar in Hong Kong during your WHV? Thanks a lot in advanced and keep up this great blog! Love reading your blogs, really inspiring. Yes I enjoying reading your blog.